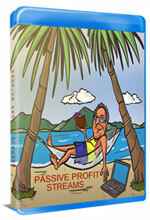 Discover 5 Passive Income Generating Business Models You Can Start Today! The purpose of this 2 hour and 45 minute video course is to reveal to you the EXACT business models that can be followed to start and launch passive income online. 1. How Membership Sites help to create consistent income and predictable earnings. 2. How to start creating info products. Starting your own online store! Sorry This Content Is For Gold Members Only.